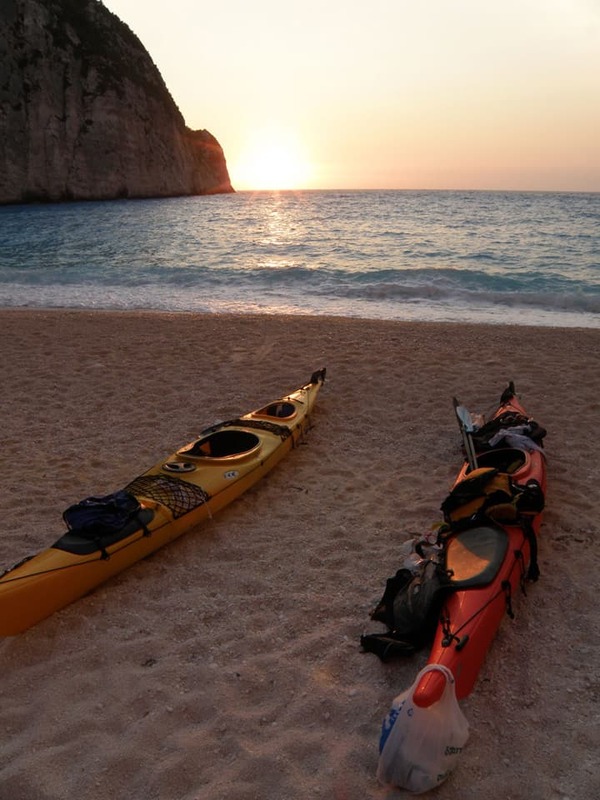 Sea kayaking is the perfect way to enjoy the beauty, diversity and sheer magnificence of the Kefalonian coastline. It is an activity that is relaxing, low stress and suitable for ALL ages. Our equipment, international experience, LOCAL knowledge combined with OUR passion for the island and our activities, will ensure that your adventure with us will be an unforgettable experience. 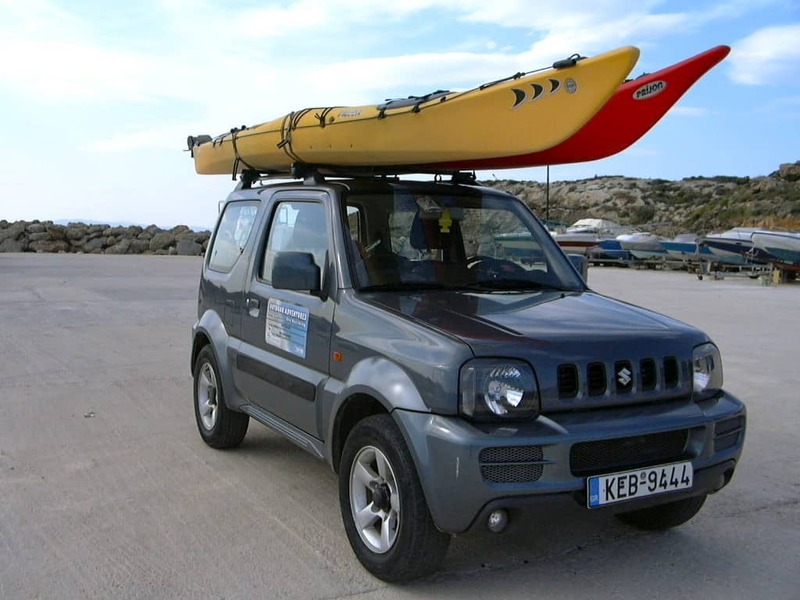 We cater for all levels of happy paddlers – Novice to Expedition! Land based safety and instructional briefing prior to entering the water! Healthy Meal made up with as many homemade and local products as we can find. Loads of Fun IN THE SUN! 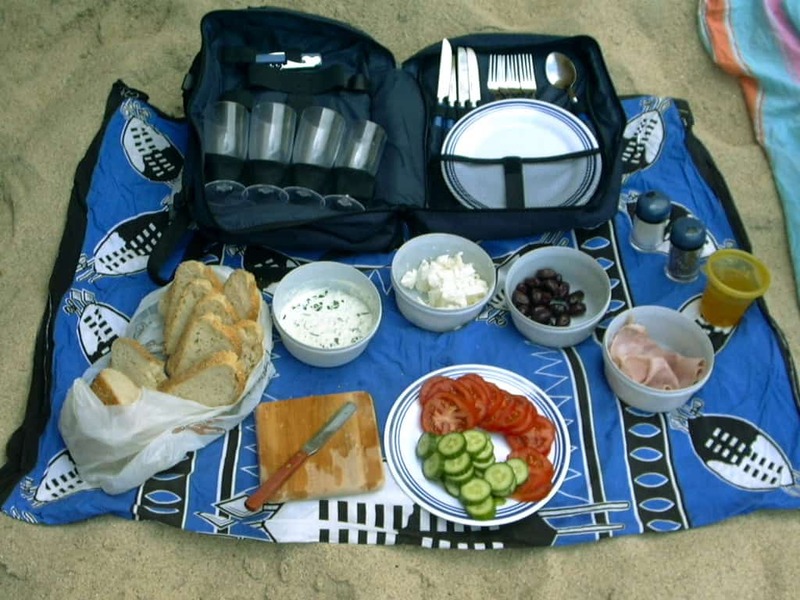 Day trips – Can be run throughout the year – We have great paddling and great weather. Group size/numbers – our aim is to keep groups small and personal. Trips may take a little longer than proposed due to our policy – FUN FIRST!!!!!!! We may cancel trips or change venues due to weather conditions – SAFETY FIRST!!!!!!!! 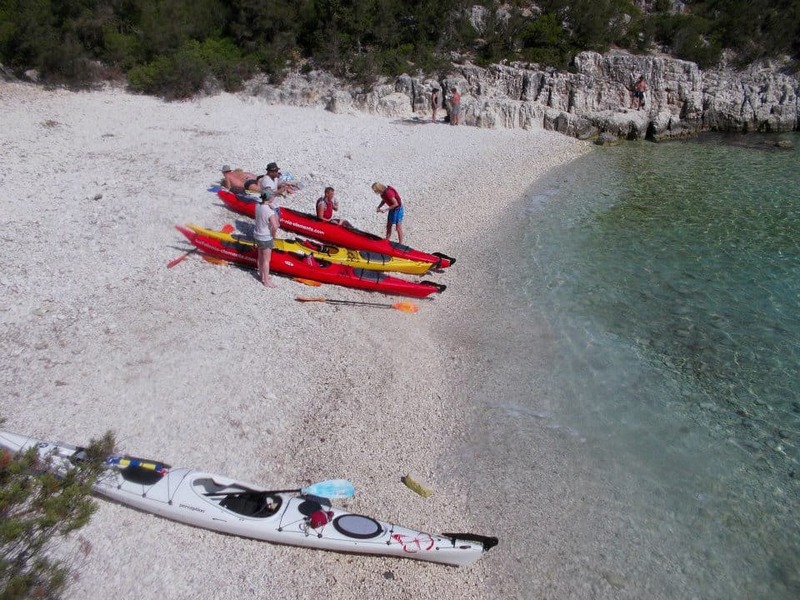 Depending on weather conditions and group experience this trip will either be a close coastline paddle out of Fiskardo and then loop back or a short crossing to Ithaki and back – Fiskardo -“The St Tropez of Kefalonia” offers a very different feel and experience, most of the buildings are pre the -1953 earthquake, cafes are neatly organized for the modern traveller, offering old world fishing village charm alongside a modern and popular Ionian sailing destination – we paddle along a diverse green and jagged limestone coastline with small bays and white rock beaches. Distance on this trip can be adjusted from 6 – 15km and time (6-8 hours) depends on route taken, distance chosen and the time needed for drinking your GREEK coffee, have a walk along the waterfront and browse in the souvenir shops. A long paddle for the “free spirited” more CONDITIONED sea kayaker, we leave one of the most spectacular bays in the Ionian sea, and shortly find ourselves in a wonderland of paddling – amazing beaches, rock gardens, thick green vegetation and no sign of man made structures, for most of the day. 17 km of committed paddling – No road access points along the route. 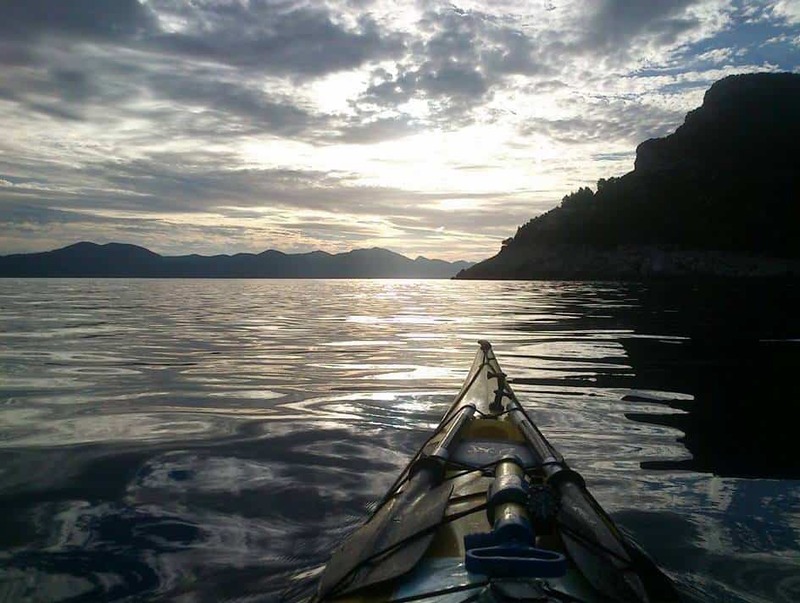 Although we leave from one of the busiest tourist beaches on the island, your morning soon turns into a quite and beautiful paddle along a jagged limestone coastline with hotels and villas peering at you through the cracks, as you pass them on route to one of the islands “main” ferry port towns – Poros. 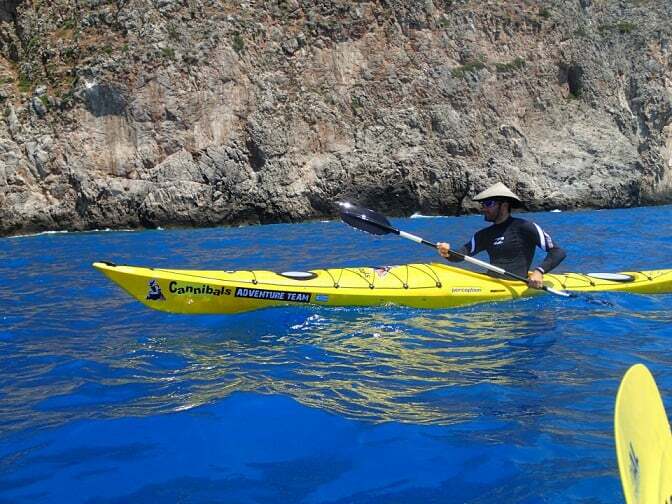 This trip can be extended by leaving from Katelios – an option for more CONDITIONED sea kayakers! 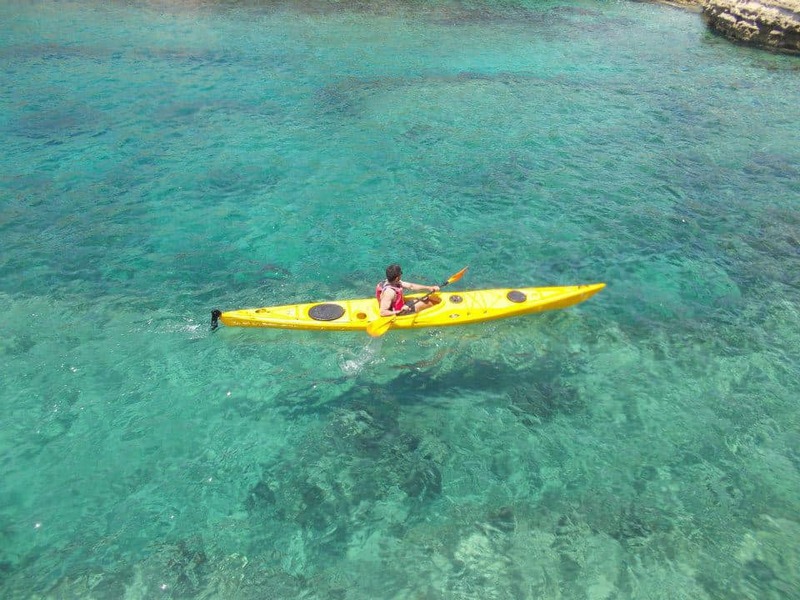 Leaving the chilled tourist beach behind you paddle past some of the best and most deserted southern beaches, many of the beaches along this stretch are only accessible from the sea, allowing for an abundance of amazing private swimming and snorkeling spots. 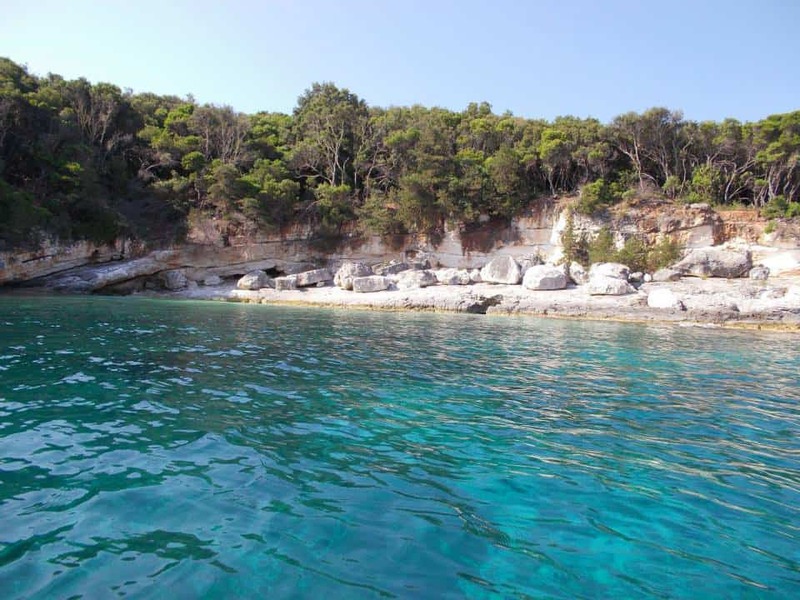 A slightly longer introductory trip, offering you the experience of remoteness on the south side of the island, a visit to Dias Island (The island of ZEUS) – adds a “small open sea crossing” to the trip. We end with awesome views of Mount Ainos from the sea and a refreshing beverage at one of the most chilled tourist beaches on the island. 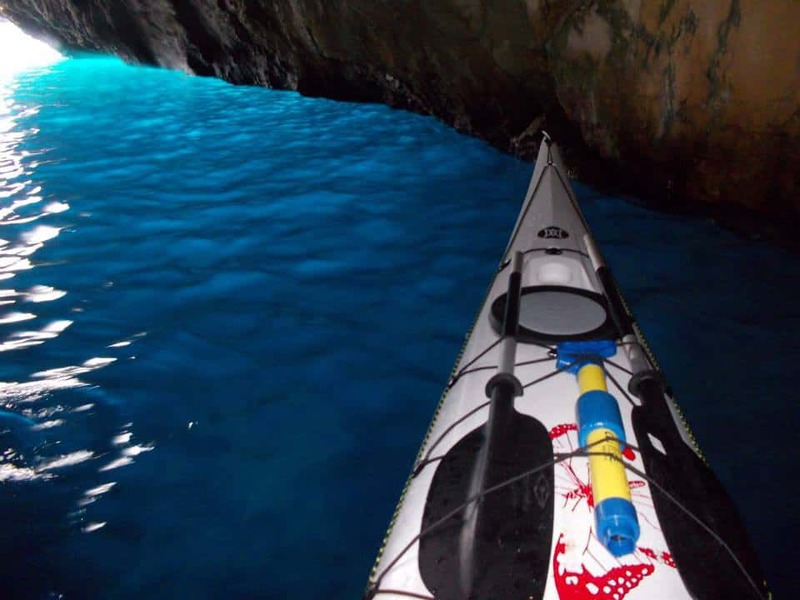 Perfect trip to introduce people to sea kayaking – offers all the magic of the Kefalonian coastline in a fairly condensed trip – Caves / arches / popular beaches / deserted beaches / limestone cliffs all in a few hours. 10km trip taking about 5-6 hours. A short paddle across the bay of Argostoli or if you are based on the Lixouri peninsula a departure from the main harbor in Lixouri, takes us to the red sand beach of Xi beach for a swim break, we then cross to the island of Vardioni, a short circumnavigation takes us past an old lighthouse and to the “lonely church” where we land and explore this “strange deserted island”, we paddle back to the starting point – an easy to moderate trip. 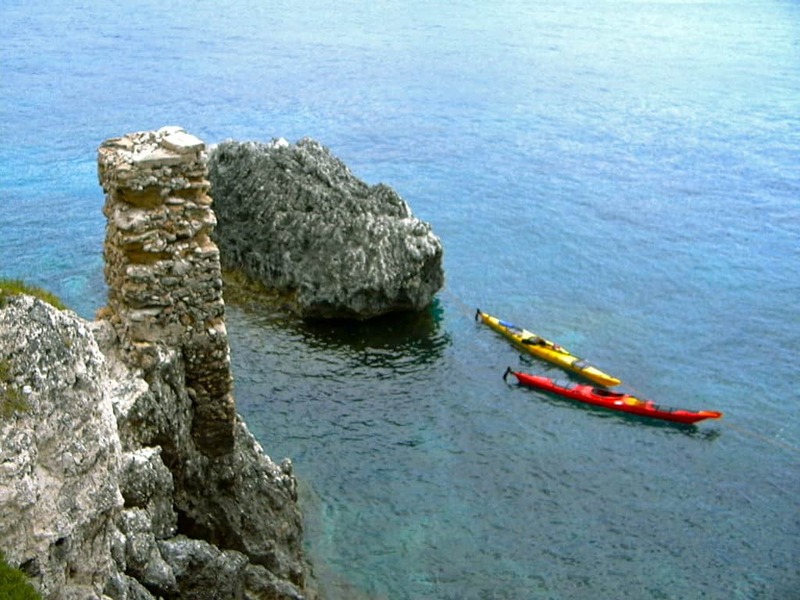 One of the most amazing stretches of Kefalonian Coastline – sea kayakers dream! Dramatic and unpredictable stretch of coastline. Majestic limestone cliffs, white beaches, turquoise water and an old village guarded by a Venetian Fort. Easy on a good day! Advanced paddling on a bad day! One exit option! 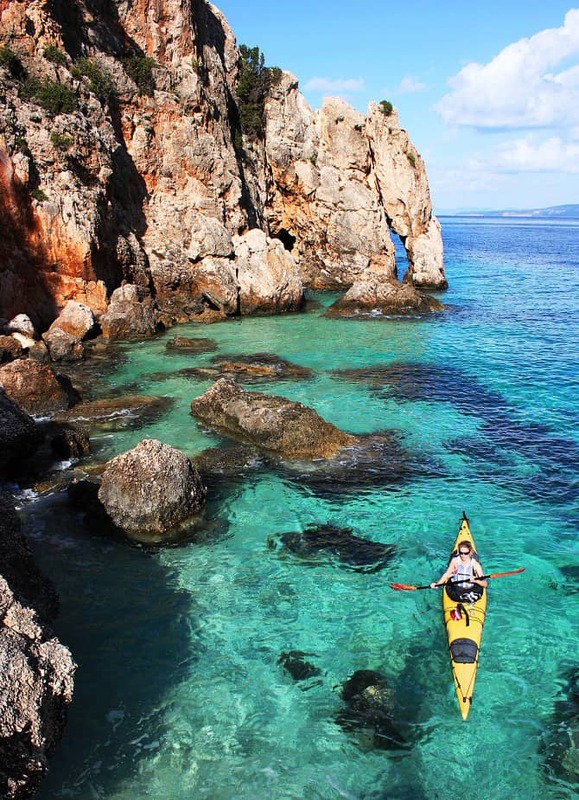 Majestic limestone cliffs, white beaches, turquoise water, classic taverna and small fishing harbor, definitely one of the nicest locations in Kefalonia. 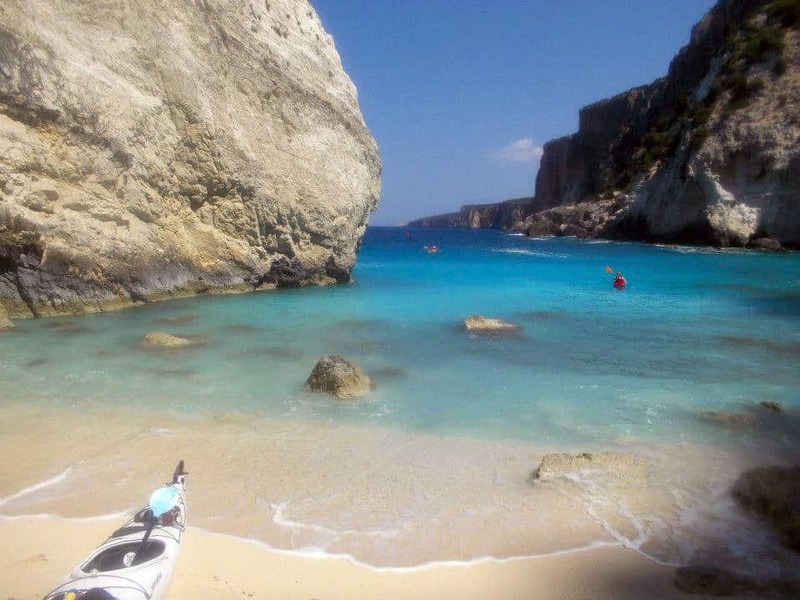 Land behind the beaches and limestone cliffs is the ancestral land of Georgios, a very special and sentimental place from which ELEMENTS originates. 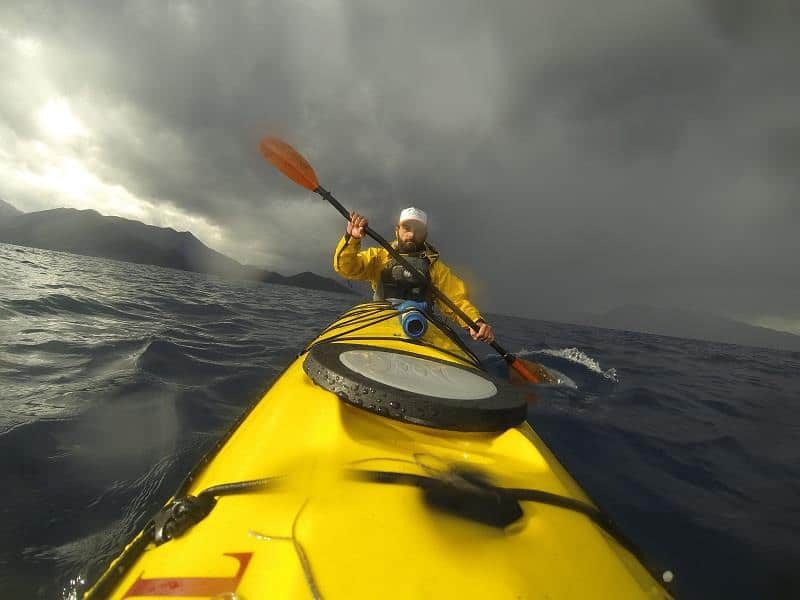 Advanced paddling on a bad day! – No road access points along the route. We offer family and group discounts for direct bookings and on additional activities booked with us. — Article provided by Giorgio Potamianos of Kefalonia Elements. Contact the organizer through: +302671100251, +30 6979 987 611 or through his contact data below. 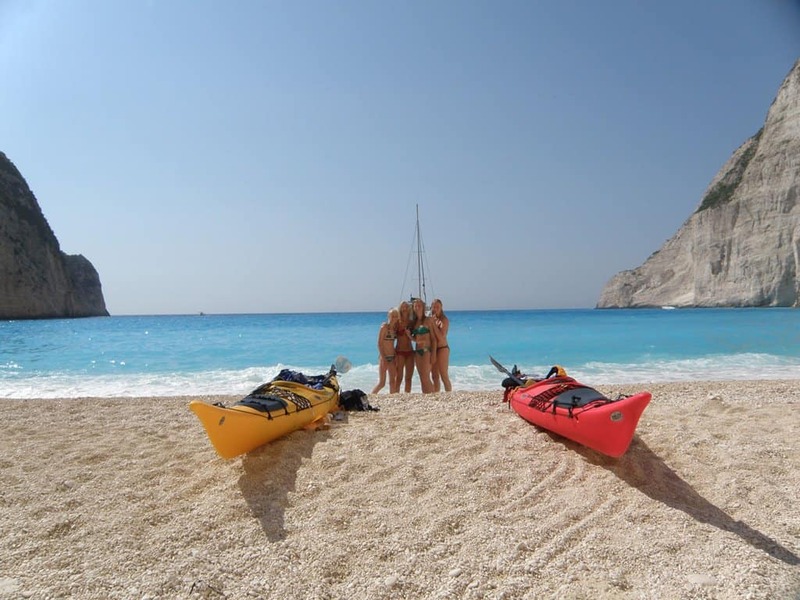 Are You Ready to Enjoy a Sea Kayak in Zante?